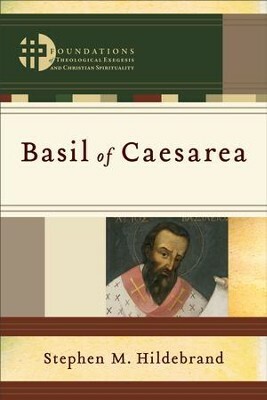 This introduction to the thought of Basil of Caesarea surveys his theological, spiritual, and monastic writings, showing the importance of his work for contemporary theology and spirituality. It brings together various aspects of Basil's thought into a single whole and explores his uniqueness and creativity as a theologian. The volume engages specialized scholarship on Basil but makes his thought accessible to a wider audience. It is the third volume in the Foundations of Theological Exegesis and Christian Spirituality series, which critically recovers patristic exegesis and interpretation for contemporary theology and spirituality. The Foundations of Theological Exegesis and Christian Spirituality series critically recovers patristic exegesis and interpretation for contemporary theology and spirituality. Each volume covers a specific church father and illuminates the exegesis that undergirds the Nicene tradition. Series editors are Hans Boersma and Matthew Levering. Stephen M. Hildebrand (PhD, Fordham University) is professor of theology and director of the theology graduate program at Franciscan University of Steubenville in Steubenville, Ohio. He is the author of The Trinitarian Theology of Basil of Caesarea and has published a translation of On the Holy Spirit. Basil's reputation as a theologian has grown remarkably--and deservedly--in the past few years. New scholarship and new translation has reminded us that Basil is one of the great theologians and Christian teachers of the fourth century. Stephen Hildebrand's book is a very welcome introduction to the 'new Basil.' Hildebrand now takes his place alongside such significant Basilian scholars as Andrew Radde-Gallwitz and Mark DelCogliano. Basil of Caesarea is the giant of the fourth-century theologians, and he intimidates many who approach his works today. Here lies the value of Stephen Hildebrand's book: he introduces us not to a part of Basil's thought but to his theology as a whole. Moreover, he introduces not merely a corpus of ancient texts but also their author. This is a valuable book not only for historians of theology but for anyone who wants to understand the role of theology in late antiquity. Basil is a pivotal figure in the history of the church, and his biblical interpretation is no small part of this achievement. We cannot begin to understand his prodigies of charitable activity or ecclesiastical administration until we understand his ascesis and his contemplative approach to Scripture. This book is more than a look back. At a time when the world is regaining an appreciation of social doctrine, spiritual discipline, and patristic exegesis, it is a way forward. This is an excellent, up-to-date, and detailed introduction to Basil's life and work. The great strength of this book is the way the author brings together Basil's theological work on the Trinity and his practical work on monastic life, topics that have been studied separately by different people. He shows how both sides of Basil's work spring from the same desire to know God and zeal to obey his holy will. What emerges is a literary sculpture of the monk-bishop of Caesarea. This is a wonderful book on one of the great thinkers of the ancient Christian world. It offers the reader a broad window onto his personality and writing in a radiantly lively way. It will be a standard book for students and all those interested in early Christian theology. I'm the author/artist and I want to review Basil of Caesarea (Foundations of Theological Exegesis and Christian Spirituality) - eBook.